SleekWrapper, part of the Paxiom Group, recently introduced the new fully servo-driven horizontal flow wrapping machine—the Sleek 40 Wrapper— designed to provide smaller or start-up operations with all the efficiency advantages of a 4-axis servo drive, at entry level cost. Built in a heavy duty stainless steel frame, the new Sleek40 Wrapper is capable of handling 60-100 packs per minute. A fully adjustable forming box makes it suitable for both food and non-food products, even medical equipment. 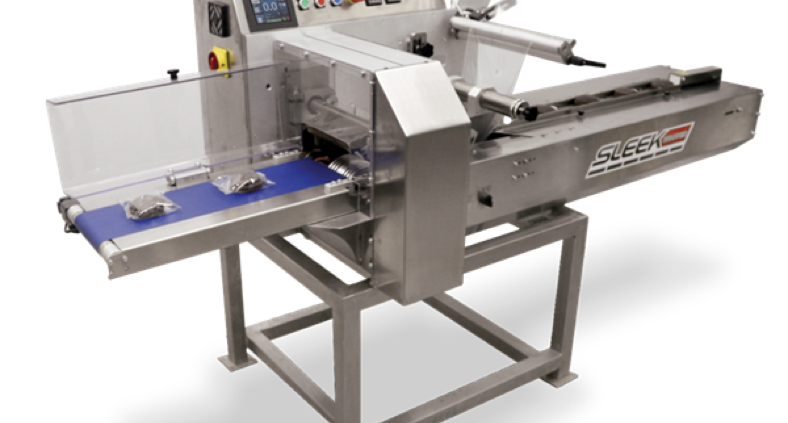 The economical 4-axis Sleek40 Wrapper uses four non-proprietary Mitsubishi servo motors and servo drives that create quick and easy changeover and adjustment. No chains. No gears. No lubrication needed. An additional benefit is lower maintenance costs compared to the older mechanical and 2-axis machines offered on the market today. The innovative Sleek40 Wrapper comes with an easy-to-operate color touch screen and is built to quickly recall specific recipes with its 100-product memory setting. 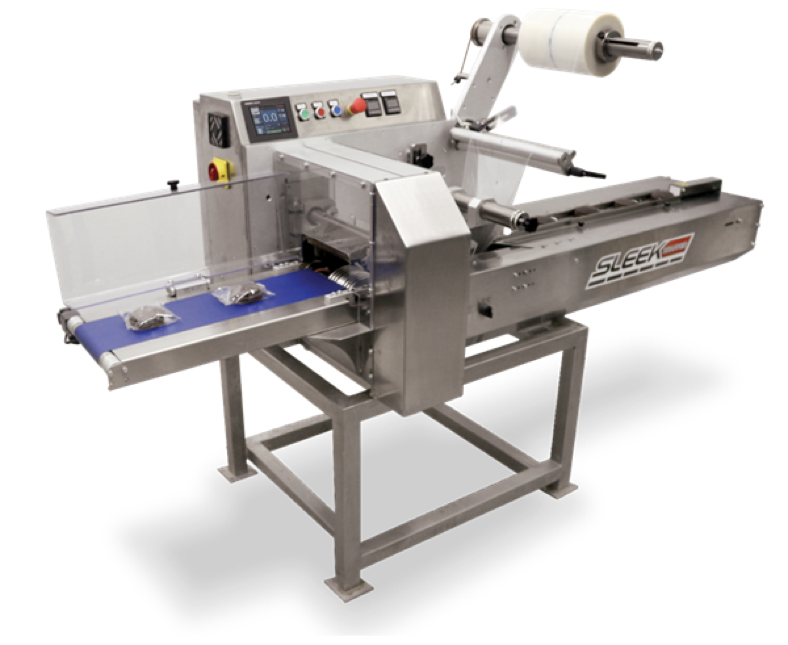 Other enhanced features include a no-product no-bag setting, automatic opening of the heated wheels to prevent the burning of film, and automatic homing of the jaws when changing over to different product sizes.